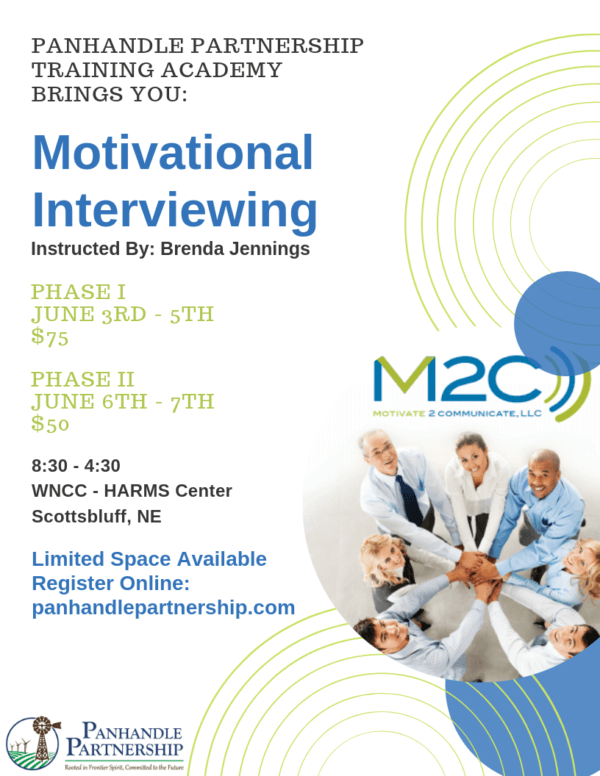 Must have taken Motivational Interviewing Phase I prior in order to enroll in Phase II. Vision: M2C aspires to be an exemplary and effective leader in the community and among multi-business model organizations in effecting positive and increased motivation to communicate with others. M2C strives to make a difference in how people communicate. Phase II will offer a 2 day training focused on taking MI skills to the next level and continuing to build upon the structure of Phase I. During the 2-day training participants that have completed Phase I successfully, will enhance their skill level in dealing with resistance to the change process and their communication style. Participants will review and practice the first 4 stages of learning MI they were first exposed to in Phase I as well as the additional 5th stage of learning MI and rolling with resistance. Participants will learn specific strategies of complex reflections to utilize with clients, take stage of change to the next level in conjunction with using MI, and will continue to practice their developing skills. At the end of the 2-day training , each participant will receive individual feedback by the trainer as well as the continued resources to strengthen their skill level. Follow up trainings and coaching sessions will be made available for additional consideration by the agency to further develop staff in their MI skill levels of stages 6-8 which are introduced in Advanced MI training offerings.